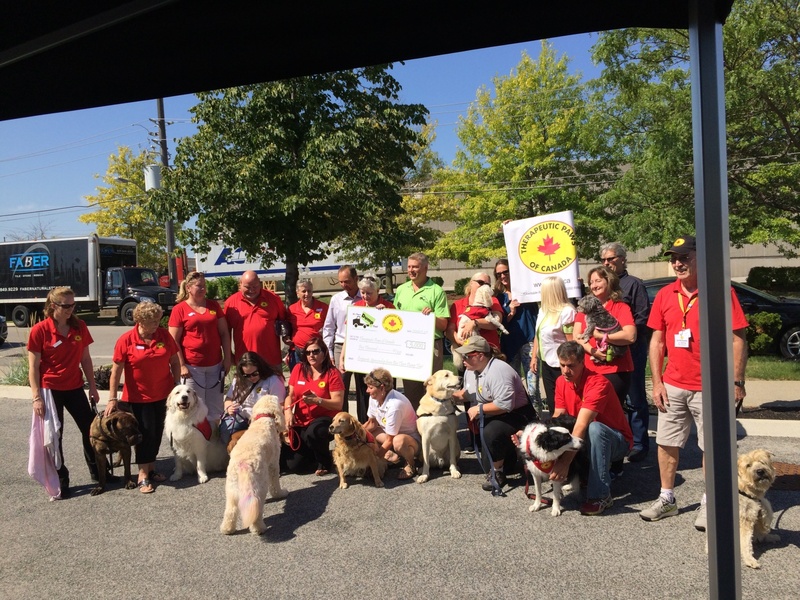 Who Are The Therapeutic Paws of Canada? Therapeutic Paws of Canada (TPOC) was founded by Judy Sauvé in 2002, with a mission to enhance the quality of life and health through the animal/human bond anywhere there is a need. Motto: “Paws with love to share”. 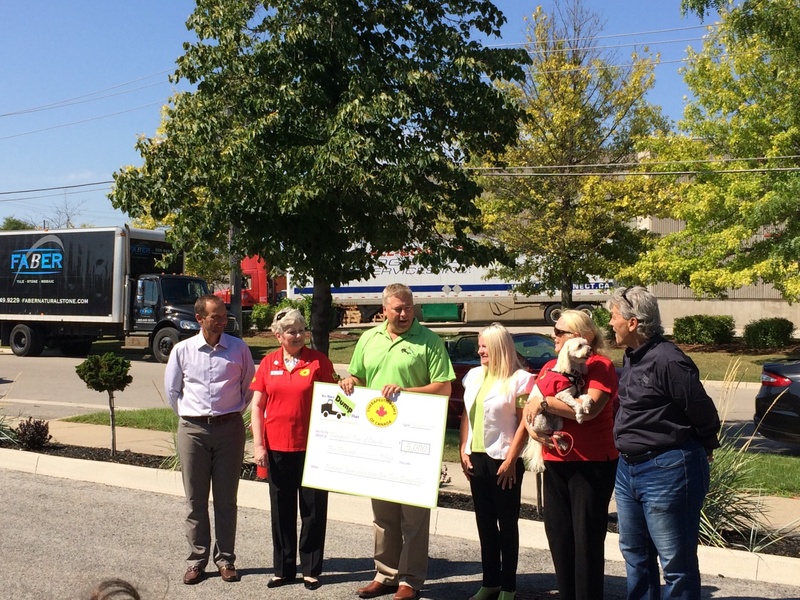 Therapeutic Paws of Canada is a national non-profit organization of volunteers, providing animal resources for human needs (physical, mental, educational, motivational, socialization) through regular visits by members of their community with their pets. We participate in both senior and child programs, and provide visits to hospitals, long-term care centers, retirement residences, schools, libraries, nursing homes and anywhere there is a need. Senior Programs: Our visitation program includes visits to senior facilities such as retirement homes, nursing homes, Alzheimer day away centers, hospitals and where there is a need. The petting and stroking of a pet helps to calm the most agitated resident and stimulates wonderful conversations about the pet they once owned. Recovery from surgery is quoted as being accelerated when there is continued contact with a pet. Children’s Programs: Paws To Read® matches child certified therapy dogs and handlers with children who struggle to read. Kids read to the dogs and are encouraged to pick books they think the dog would like to hear. Our dogs provide undivided attention to the kids as they read aloud. Studies have shown that reading to dogs encourages confidence and boosts self-esteem in children who struggle to read aloud in class, therefore boosting literacy. Offered to primary schools and libraries is the Paws To Read®. 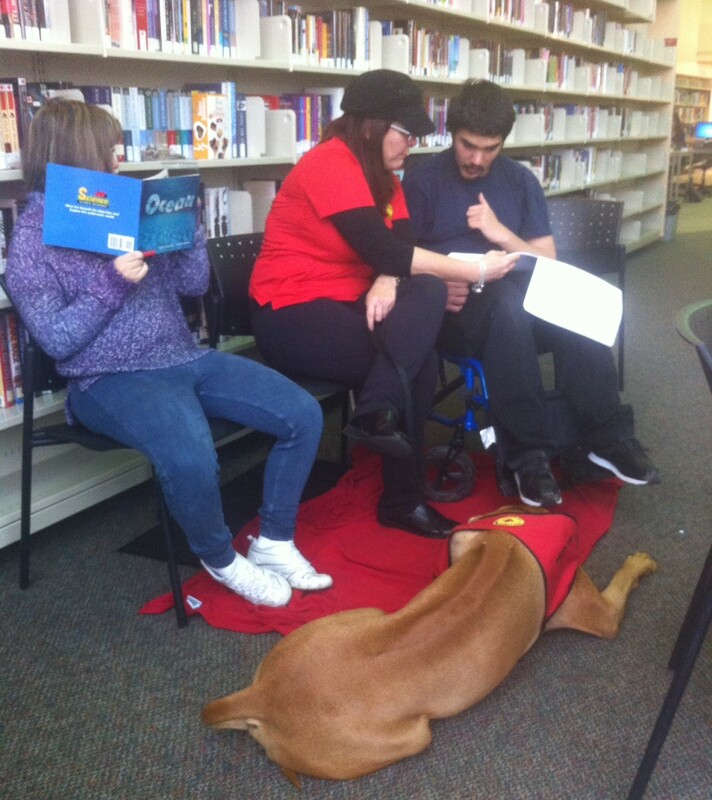 Children read to a Child Certified pet in a relaxed atmosphere. PAWS Room: TPOC volunteers visit secondary schools, colleges and universities offered through the PAWS Room program. The presence of a therapy pet helps reduce the student’s stress levels during exam time and reduces feelings of loneliness for family, friends and the family pet while living away from home. Paws for Comfort: The Paws for Comfort program offers emotional comfort at the courts, Victim Witness Assistance Programs, EMS, fire and police personnel, school crisis and where ever there is such a need. The American Journal of Alzheimer’s Disease and Other Dementias found animal therapy can decrease agitated behaviour and increase social interactions for people with dementia. The study followed a group of residents in a nursing home who received three weeks of animal therapy.